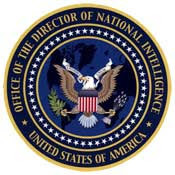 Draft of a new US National Intelligence Estimate (NIE), leaked to the media recently, paints a bleak picture of Pakistan. A US official who participated in developing the report summarized the estimate's conclusions about the state of Pakistan as: "on the edge" with "no money, no energy, no government." According to him, the NIE report also talks about "Pakistani army's reluctance to launch an all-out crackdown" on the insurgents. This latest US NIE seems to imply that the situation is far worse than the earlier reports of economic meltdown and President Zardari's plea for a $100b bailout request to the US and friends of Pakistan consortium. The economic difficulties are compounded by growing insurgency, infighting within Pakistani government and deep mistrust between the civilian and the military leadership, according to the estimate. Mr. Juan Cole, a Pakistan watcher, views this NIE leak with suspicion. He says, "I'm suspicious that all the talk about instability and 'no government' is really a way of saying that US intelligence agencies liked having a military dictatorship there much better than they like having an elected parliamentary regime." Mr. Cole adds, "American reports about Pakistan are schizophrenic, because they say the Pakistani army is not fighting the Taliban. But the Pakistani military has chased 300,000 from their homes in Bajaur, one of 7 tribal agencies, and has engaged in firefights with dissident Muslim groups there. I mean, what do the authors of the NIE want?" The accuracy of the NIE and the motives behind it are hard to gage, but it is clear that the situation in Pakistan is very chaotic with growing unrest among the population because of the falling rupee, dwindling foreign exchange reserves and skyrocketing prices of food and fuel. President Zardari is trying to line up significant emergency economic aid from the US, the Europeans and the Chinese to bail out Pakistan. His government will probably not last long if he fails.